Maui was behind the times when it came to school gardens. In fact, when Grown Some Good started their nonprofit to help local schools build out fertile grounds on campus, it was a hard sell at first. Administrators just weren’t sure of their value. Now, with a few years under their belts, the program is flourishing. 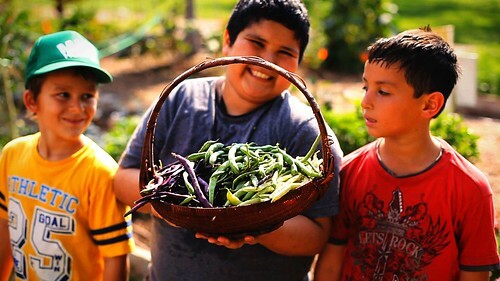 Sure, there’s a long list of schools that tap into their plant nurturing organization, but Grow Some Good has also exponentially affected our local food-growing systems and access to vegetables by teaching kids how to grow food. Getting students outside also plants kernels of career opportunity, gives them hands on knowledge of market exchange and has created occasions to cook, eat and make value-added products with their crops. Finally, the state Legislature is catching on, and there are bills pending that would create a farm-to-school program, as well as another that aims to get locally grown food into school lunches. Education is about making the relevant connections to knowledge that will last into your future. That isn’t always obvious in classroom sessions, but taking lessons outdoors to a school garden can be refreshing and inspiring. There, students can learn where their food comes from. Eventually, the gardens will expand and students can take their knowledge home and create garden exchanges in their neighborhoods. From there, they learn how to market and sell their projects and (hopefully) the importance of reinvesting their profits into the garden. “Families who are growing food at home because of the lessons students are learning at school and teaching and inspiring parents,” says Surry. This concept is changing the environment and landscape of our schools. Last year, students at Lokelani Intermediate transformed their campus with a huge school garden and landscaping initiative that fostered friendships outside the classrooms, earning the school the top honors in campus beautification and a $5,000 grant from the Cooke Foundation. Baldwin High School’s Workforce Readiness Program has taken to the garden to teach entrepreneurial skills from planting to harvest. And Princess Nahienaena is the newest school to jump aboard Grow Some Good’s budding list. Success stories like these are making state legislators take notice. Senate Bill 376 seeks to create a farm school program at the state level as well as a link between school gardens, school food and Department of Agriculture. It passed the Ways and Means committee last month. House Bill 1028 gets farmers food safety certified and facilitates better access for them to the school lunch programs. It recently passed out of House Finance committee. Both of these goals have been years in the making, Surry says. “It’s great to see that what’s happening on Maui is part of a bigger effort to improve local ag and school garden programs,” he added. Grow Some Good is planning its gala fundraising event this Saturday at 5pm in the garden at Hotel Wailea. Tickets are $105 per person or $950 table of 10. Then you can kick your heels up to the sounds of Aloha Chicken Bluegrass, a fusion band that’s part Brown Chicken Brown Cow and part Aloha Bluegrass. 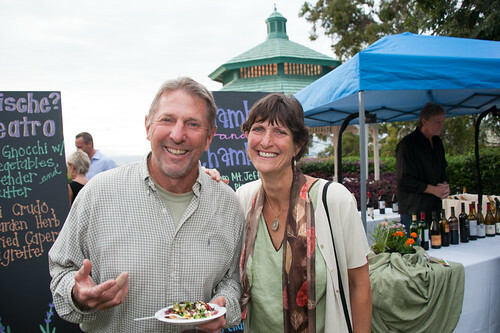 Many of the chefs who volunteer at the school gardens–from restaurants like Spago, Capische, Private Maui Chef, Duo and Cow Pig Bun–will present their school garden-inspired dishes. Beverages will be provided by Young’s Market, Chamber and Chamber and Southern Wine and Spirits. And mixologist Gabe Harvey designed a few special beer cocktails using Maui Brewing Co. brews. Oh, and save your second Saturdays each month to get dirty with the school gardens–volunteering is always welcome. 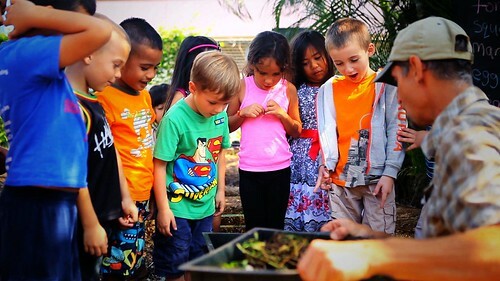 On March 14, Grow Some Good will be at Kihei Elementary from 8:30am to 11:30am, with a garden potluck picnic to follow. A week later, on March 21, Paris Nabavi will be teaching a Persian cooking class with proceeds going to Grow Some Good at 6pm. For more information on all these events, go to Growsomegood.org.